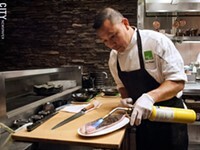 Sak Southi has owned his own Thai restaurant, Sak's Thai Cuisine, in Perinton for nearly a decade. When the opportunity arose to collaborate with Adam Civalier and his real estate company, Vicar Holdings, Khong Thai Cuisine (260 North Winton Road) was born. 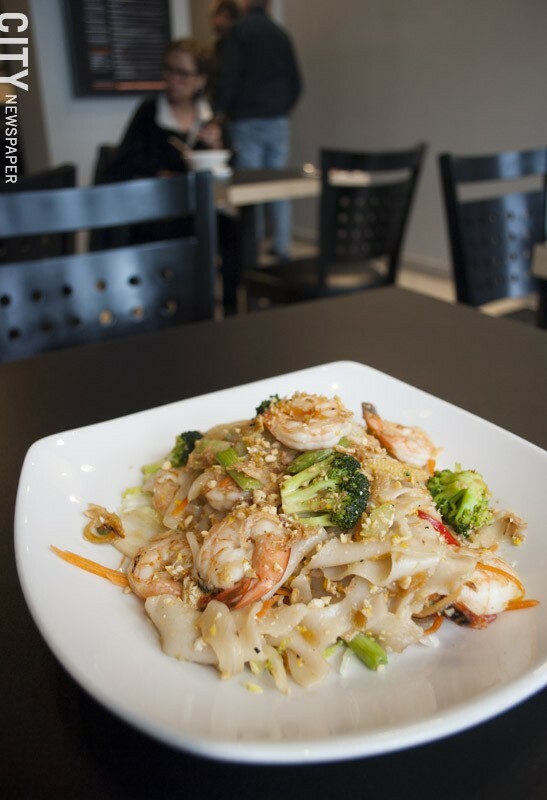 The concept is fast casual Thai food and the location is nestled in the heart of the up and coming North Winton Village neighborhood. Southi is originally from Laos but has been in the United States since the late 70's and he and his family have been cooking Thai food for the Rochester masses for years. The menu at Khong Thai is pulled from Sak's Thai Cuisine, with plans for new menu items such as a Thai burrito currently in the works. The ability to dream up and experiment with new menu items is exciting for Southi. "There are some really cool concepts that we want to try," Civalier adds. 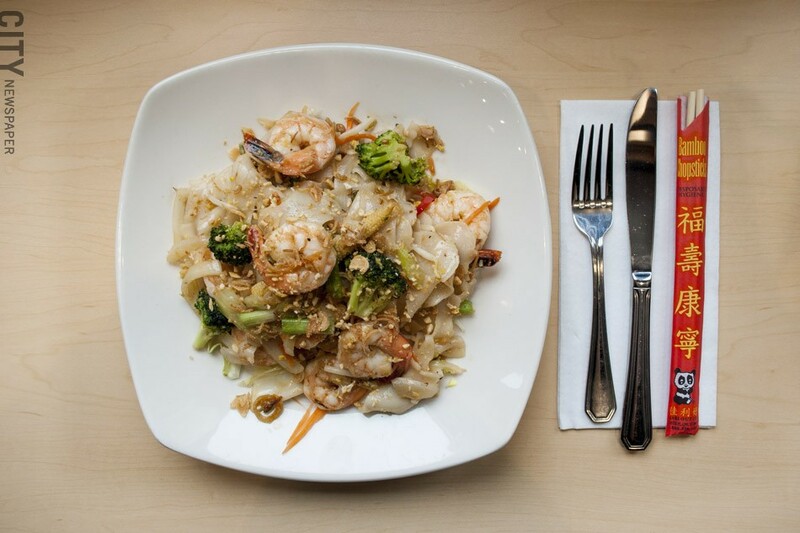 Everything is made fresh at the Khong Thai, with the exception of Southi's "Million Dollar Sauce," a secret recipe that he personally makes at Sak's Thai Cuisine and brings to Khong Thai. That sauce is featured in the Khong House Noodle that pairs wide rice noodles with eggs, ground peanuts, and vegetables. The dish can be made vegetarian, or with your protein of choice. The noodles with chicken will run you $10 for a lunch portion and $14 for a dinner portion. Gluten-free noodles are available upon request. 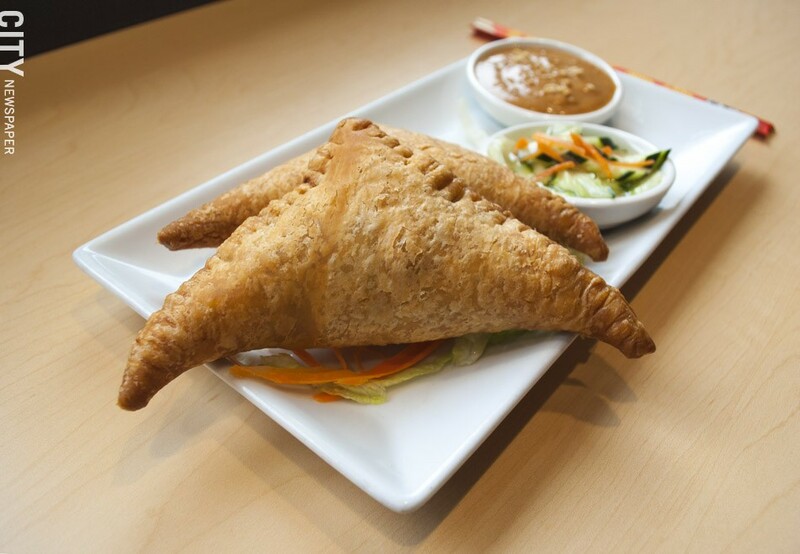 The Curry Puffs ($8 for two) are similar to an Indian samosa, with curried chicken and vegetables wrapped in pastry and served with peanut sauce on the side. 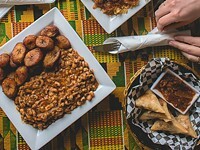 Customers can play with the amount of spice at Khong Thai; the owners used the fist bump emoji to represent the level of spice and dishes can be ordered with one-to-five punches. "There's a couple of guys that come in that say they want their faces blown off with spice, they keep coming back," Civalier says. Personally, he sticks with two punches. 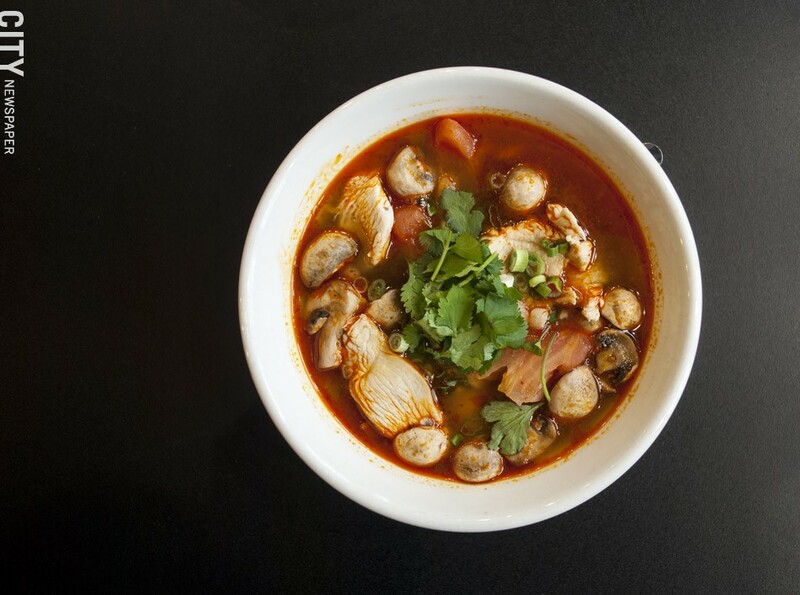 Pick your protein and choose your heat level at Khong Thai. Khong Thai is not serving beer or wine yet. 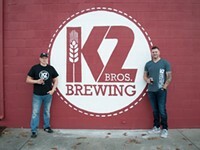 Civalier says he has some ideas to collaborate with the liquor store next door and will possibly feature a selection of Asian beer and sake. 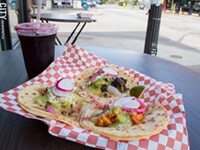 He talks fondly of the location: "It's awesome, the North Winton neighborhood and the people, we have regulars that are coming in twice a day to eat." Khong Thai (260 North Winton Road), and is open every day from 11 a.m. to 9 p.m., except Tuesday when it is closed. 434-2238. Find them at khongthai.com. 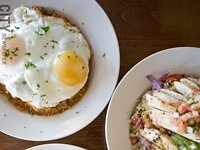 Lento (274 North Goodman Street, Village Gate), is now serving brunch every Sunday from 10 a.m. to 2 p.m. Highlights from the menu include Cajun Chicken and Waffles and a Cured Fish Board. Reservations are requested. More information at lentorestaurant.com/events/now-serving-sunday-brunch. The Genesee Country Village and Museum (1410 Flint Hill Road, Mumford) will hold their annual Maple Sugar Festival and Pancake Breakfast on Saturdays and Sundays, March 17 and 18 and March 24 and 25. Festival admission is $10 for adults and free for kids 18 and under and for members of the museum. 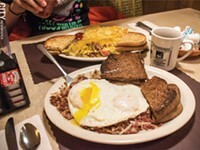 The cost for the pancake breakfast (served 9:30 a.m. to 1 p.m.) is $9, $7 for kids ages 2 to 10. More information at gcv.org/events/maple-sugar-festival. The Rochester CSA Fair will take place on Saturday, March 31, from 2 to 5 p.m. at Rochester Brainery (176 Anderson Avenue). Attendees will have the opportunity to meet local farmers, find out more about Community Supported Agriculture, and purchase produce. Email erin@wildhillfarm.com for more information. Tavern at Gibbs has opened at 58 University Avenue. 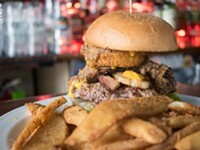 ROC Burger on Main has opened in the Rochester Riverside Hotel (120 East Main Street).